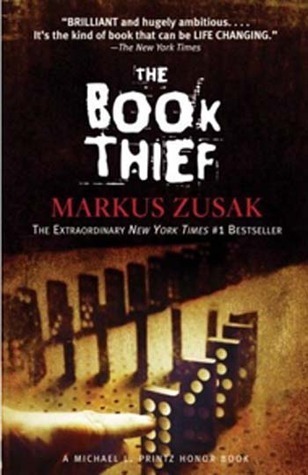 I've wanted to read The Book Thief forever and never got around to it, so I'm thankful for Erin's Challenge for finally helping me make it a priority. It was beautiful, heartbreaking, and truly an important read. I'm glad it's so popular because I think everyone should read it! I actually just finished this book (it'll be in my January reviews) because I received the advanced reading copy for the sequel! What a fantastic read-it's definitely another book that lived up to the hype for me. 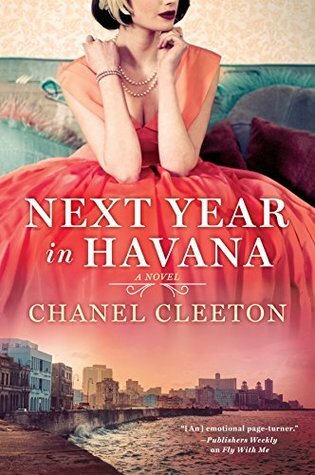 I feel like I have a much better understanding about what happened in Cuba, and the writing is just beautiful. I feel like I have recommended this book more than any other book I read this year (other than maybe the other book I put in this category). It just really surprised me. I thought I was picking up a sweet, light love story, but it had so much depth. I have also recommended this book a bunch this year, and all of my friends who have read it loved it too! I'm amazed at Katherine Center for making such a heartbreaking story so beautiful and truly funny at times. 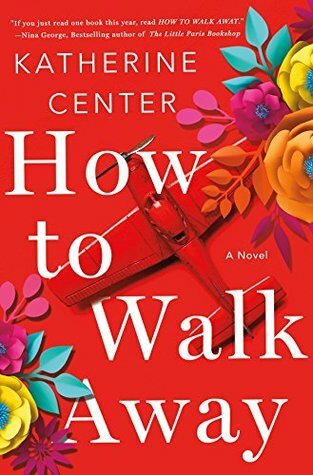 If you haven't read a Katherine Center book yet, pick one up! The thing with most of the thrillers I read is they are interesting while I'm reading them, but they don't really stand out once I'm finished. 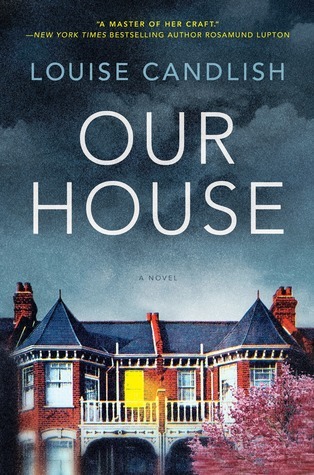 Our House is one of the rare thrillers that does. The plot sucked me in from the very beginning, and I thought the story was super unique. The ending was great, too! This is one of those great thrillers I can't say much about because I'm afraid to give anything away. 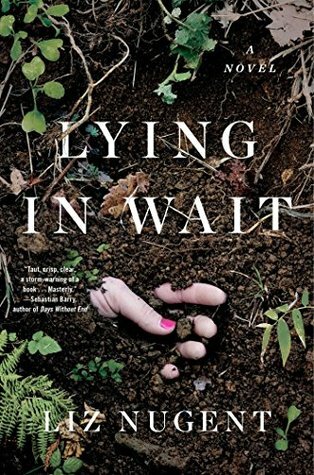 It's fast paced and really interesting. I read it back in January, and it still had enough of an impact to make my top list, which says a lot! Happy New Year, everyone! Can't wait to share more books with y'all in 2019. Hey there, book friends! I've been struggling with blogging this year (Hoping to share a little bit about why sometime in January because it's more than just having a toddler), but I do try to show up for book day. 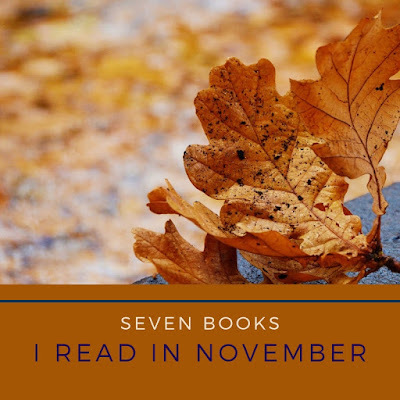 I managed to read seven books since the last book day, so I have a fun variety of books to share with y'all! It's a bit more heavy on historical fiction than usual, but of course, I had to throw in a few thrillers to the mix! 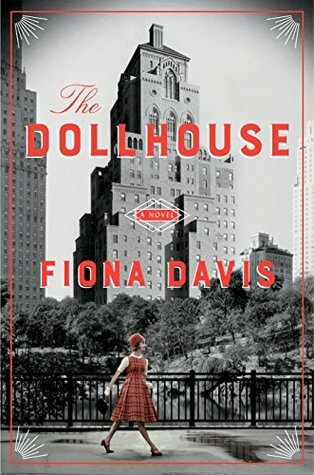 I thought I would absolutely love this historical fiction based around the Barbizon Hotel for Girls, but it lost me somewhere in the middle. I had a hard time caring about the present portion of the book, and I just got bored. It did pick up for me in the end, and I liked the ending, but overall, it was just an OK read. 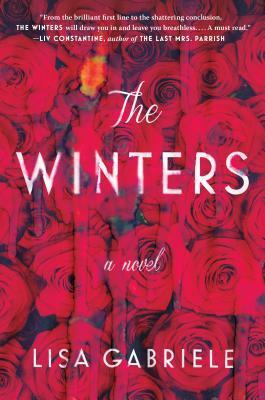 The Winters was a slow build for me. It took me a while to get into it, and I questioned the point of the book a few times in the beginning. It picked up about halfway through the book, though, and the ending was really good. This is a retelling of Rebecca, which I haven't read, but now it makes me want to read the original! I haven't read a WWII book quite like this. What an incredible story of hope and survival. 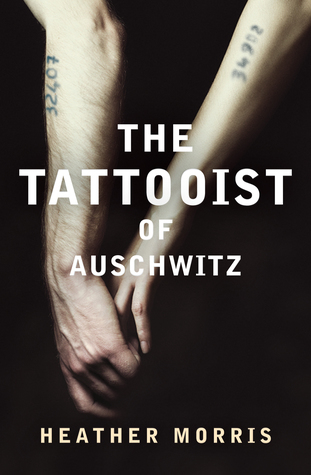 Lale's story is such a unique perspective into life at Auschwitz, and it's truly an emotional ride as you flip from the horrors of Auschwitz to Lale and Gita's love for each other. I couldn't stop reading. The only reason it's not five stars for me is the writing is awkward at times, maybe because it was originally written as a screenplay. Overall, it was a beautiful and heartbreaking read. I was intrigued by this family drama involving three sisters, one of which is in prison. The reality, though, is that I was mostly bored by it. Honestly, I think many people will love this book, and it will be popular. I just wasn't one of those people. It's more of a 2.5 stars to me, but I rounded up to 3 because it did have some redeeming qualities towards the end. 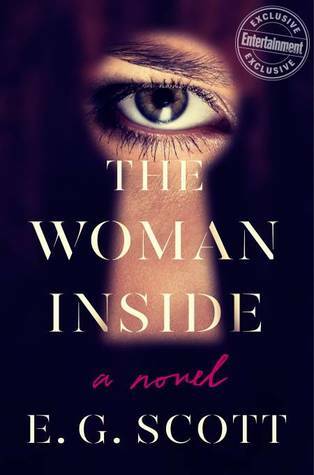 I really enjoyed this psychological thriller about a mother who moves away with her daughter to escape her past until a stranger walks into her office who knows about her past...and has kidnapped her daughter. 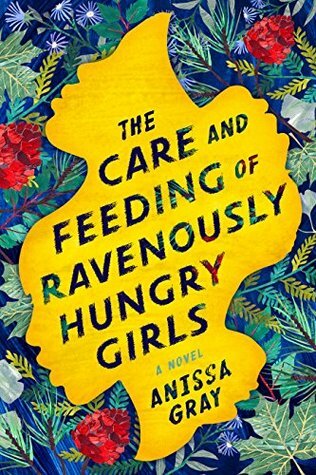 It's fast-paced and interesting, and I thought most of the story was pretty unique. I didn't love the ending (I think it could have been a bit better), but overall, this was a great read. 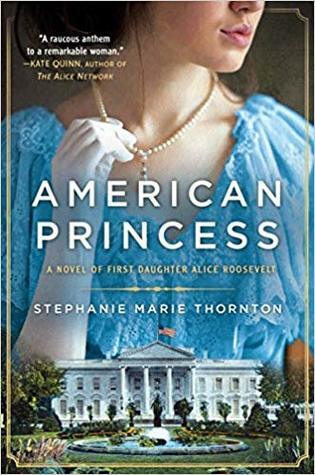 Honestly, I was a little hesitant to read this book about Alice Roosevelt because other books I've read like these in the past have let me down. That said, I really enjoyed this one! Alice Roosevelt really was a firecracker, and it was so interesting to read all about the people she knew! It got really sad towards the end (if you know anything about Alice's life, you know why), but I liked the ending! I've read a lot of thrillers, and here's the thing-you can't just have an interesting twist. The character development in this book is abysmal. Paul, the husband, is so one-dimensional. Rebecca is slightly better but not much. Then, you get to the twist, and I wasn't really impressed. Honestly, it's a bit unbelievable to me. I HATED the ending (though some people will really love it, I'm sure). The one thing I will say is it was a fast read. There are just so many better thrillers out there. I'd pass on this one. Favorite reads in November: The Tattooist of Auschwitz, The Liar's Room, and American Princess. Hey there, book friends! It's been too long since I've shared my books with y'all. We had a crazy summer that included four weeks in DC, and then it was time for Anthony's first birthday! I wasn't posting, but I did manage to read a lot! When we were in DC, our AirBnB was all one big room, so I spent most of the time after Anthony went to bed reading. 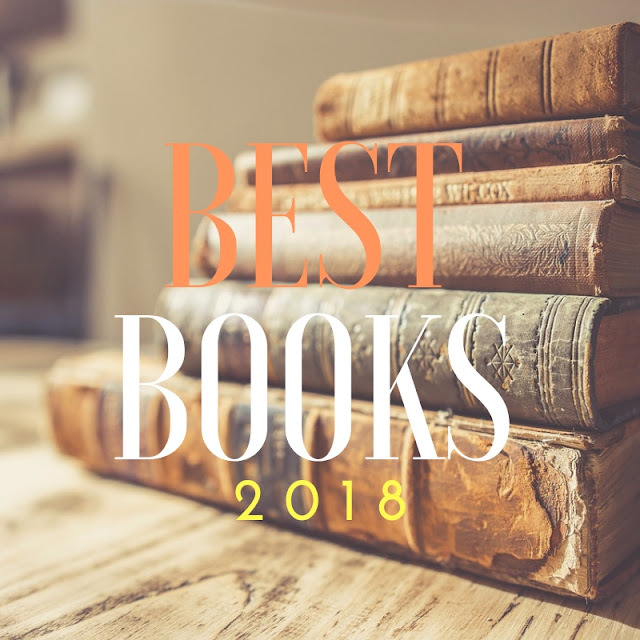 Thankfully, most of the books were great, so I'm excited to share them with y'all. 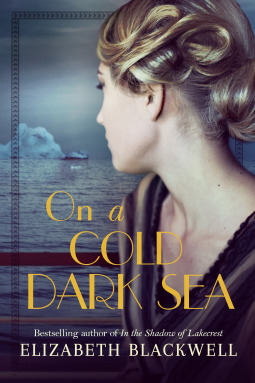 On a Cold Dark Sea is a historical fiction that focuses on three women who were in the same lifeboat during the sinking of the Titanic. It focuses less on the event itself and more on how it impacted the women for the rest of their lives. I liked how there was a chapter about each woman before the Titanic sank, which helped develop their characters. Overall, it was a good read. I have mixed feelings about this book. It felt like it dragged in parts, and I think the main reason for that is it's way longer than it should have been. 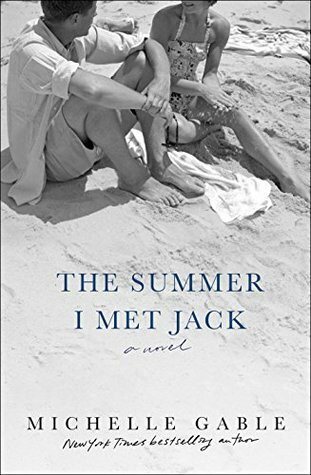 I had never heard of Alicia Darr and her relationship with JFK, so that was interesting, but I will say this book read more like women's fiction than historical fiction. My biggest complaint is all of the characters felt underdeveloped. Everyone in the Kennedy family (except maybe Pat) was deemed awful with no redeeming qualities. I enjoyed the other Michelle Gable book I read, but this one fell a little flat for me. 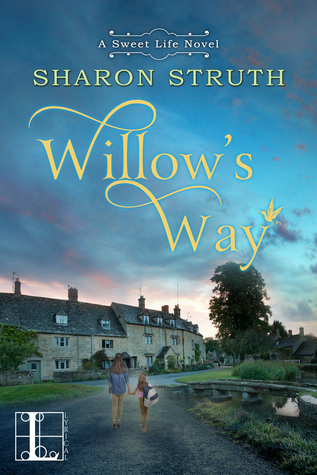 I needed to read something light, and Willow's Way fit the bill. That's not to say it's fluffy-there are definitely some serious topics discussed in the book. Overall,though, it's a sweet love story, and I really enjoyed it. There's not much else to say about this book that hasn't been said. It's beautiful, heartbreaking, and important. 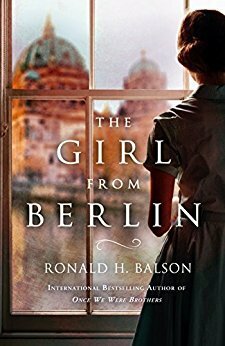 I've read so much WWII historical fiction, but this one stands out with both the narrator (Death) and the perspective of a German girl. I'm just thankful for Erin's challenge. I've been wanting to read this forever, but I hadn't made it a priority until the challenge. 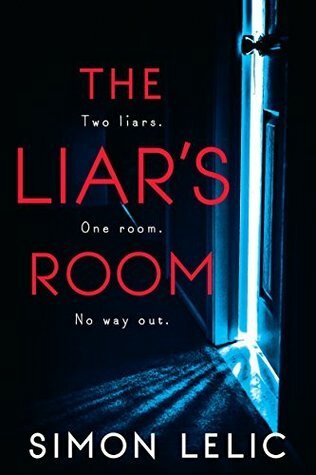 I don't think it's fair to call this book a thriller. Even though it's centered around a murder, it's more of a family drama. Still, it sucked me in and kept me interested. The ending ruined a really good book for me. I think a lot of people will like the ending, but I hated it. 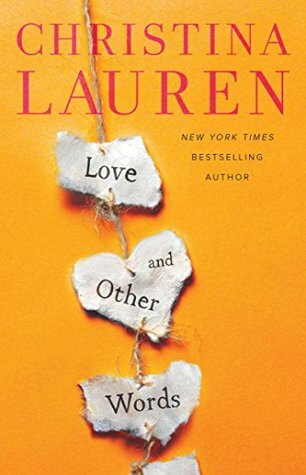 I can't believe it took me this long to read this book-this is one of the first books I added to my "to read" shelf on GoodReads back in 2013. I really liked this book. The twists were interesting, and in my pre-baby days, I would have definitely read this in one sitting. There is one part that made me almost physically ill based on my current life stage, but overall, it was so well done. 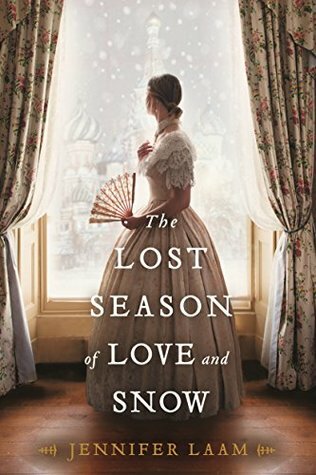 I mostly enjoyed this historical fiction about Pushkin and his wife Natalya. It got a little bit boring in the middle, but it picked up at the end. It was interesting to read about the years leading up to Pushkin's duel, and how Natalya felt in the aftermath. I wasn't sure if I would like this book based on the description, but I LOVED it. I thought both the past and present (though present is 1987 in this case) parts were done well, and I really liked the love story in the past section. I did hope the present section was a bit more developed, especially at the end, but overall, it was an interesting read. Overall, I loved this read. 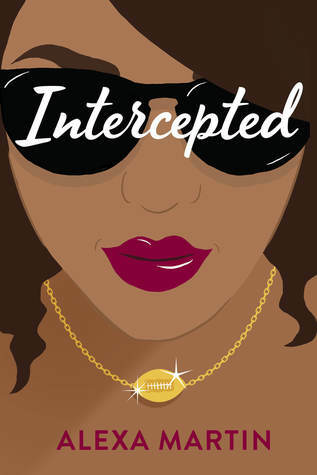 Marlee and Gavin are both fantastic characters, and it's the perfect read to kick off the beginning of football season! I thought it was really realistic for a romance novel, and Marlee's one-liners were funny, though I could have done without all of the hashtags. The pace of the novel threw me off a bit. It was hard to follow at times because the author would jump ahead a week or a month. Still, it was a great story, and I was excited to see this is a series! I'm at the point where I will basically read everything Ronald H. Balson writes because it's SO good. He's definitely one of my favorite historical fiction writers. The past/present format is done so well, and the mystery sucked me in pretty quickly. It was both heartbreaking and hopeful. 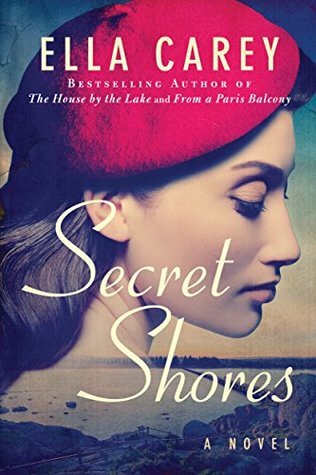 If you're a World War II historical fiction fan, you need to read this one! I'm a big Kate Morton fan, and I enjoyed this novel, but it wasn't one of my favorites. 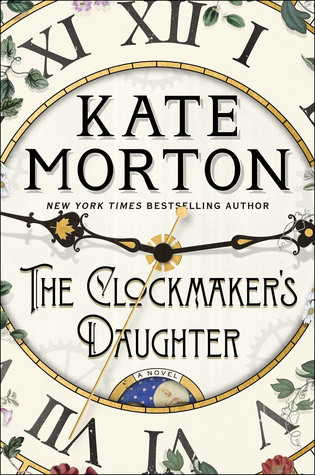 I liked the character of the Clockmaker's Daughter, and the reveal of what happened to her was interesting, but it felt like there was a lot of extra information in between. 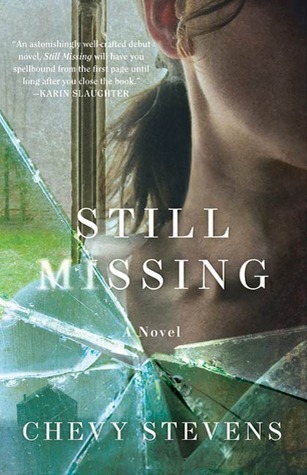 Also, Kate Morton usually does such a great job of weaving the past and present together, but all of a sudden in the middle of the novel the present -day story disappears, and it barely gets resolved at the end. I'm probably being a bit overly critical just because of how much I usually love Kate Morton's books. I still enjoyed it and would recommend it to historical fiction fans! 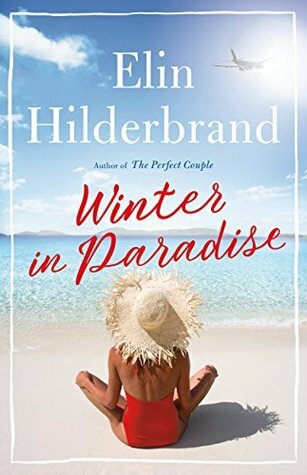 I loved Elin Hilderbrand's new book. It's fast-paced and really kept me turning the pages. The characters are all relatable and well developed, and the setting of St. John is perfect. My only negative is that I have to wait a year to read the next book in the series! 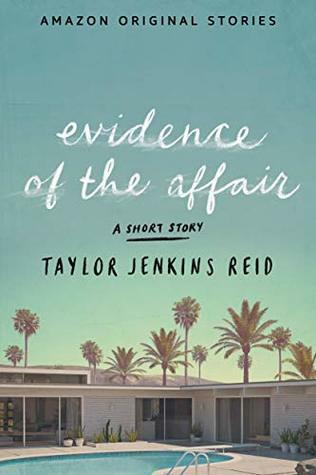 I really enjoyed this short story told exclusively in letter format. I especially liked the ending. TJR can really do no wrong! 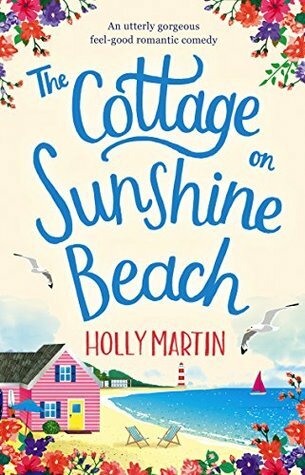 Holly Martin has been one of my go-to authors for a quick feel-good romance over the last few years, and this book was no exception. The story was super sweet, and I loved the setting. 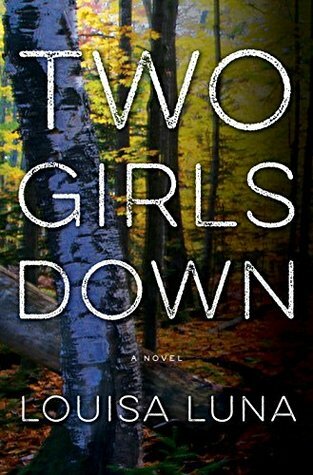 Melody and Jamie weren't my favorite characters that Holly Martin has created (I like Tori and Aidan from the first book in this trilogy better), but I still really enjoyed this book. I can't wait to read the last book in this trilogy (though all the books also work as stand-alone novels) because I really like Isla and Leo. This is the first time in a long time that I've read a book this quickly. Every page was interesting, and I was eager to see how it ended. This would have definitely made me pull an all-nighter reading before I became a mama. 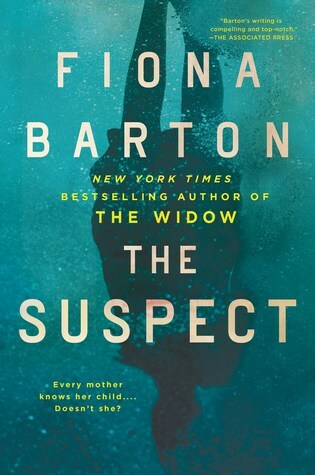 I'll definitely be reading more Fiona Barton books in the future! 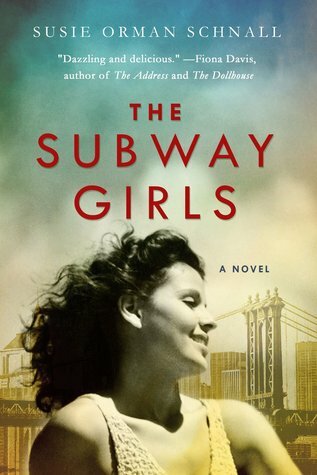 One of my favorite parts of reading historical fiction is learning something new, and I really enjoyed learning about New York's Miss Subways beauty contest through this novel. The past and present parts of the book were woven together brilliantly, and Charlotte and Olivia were both great characters. It kept me interested the whole time and was a light read while still dealing with some relevant topics. If you're a historical fiction fan, definitely pick this one up! 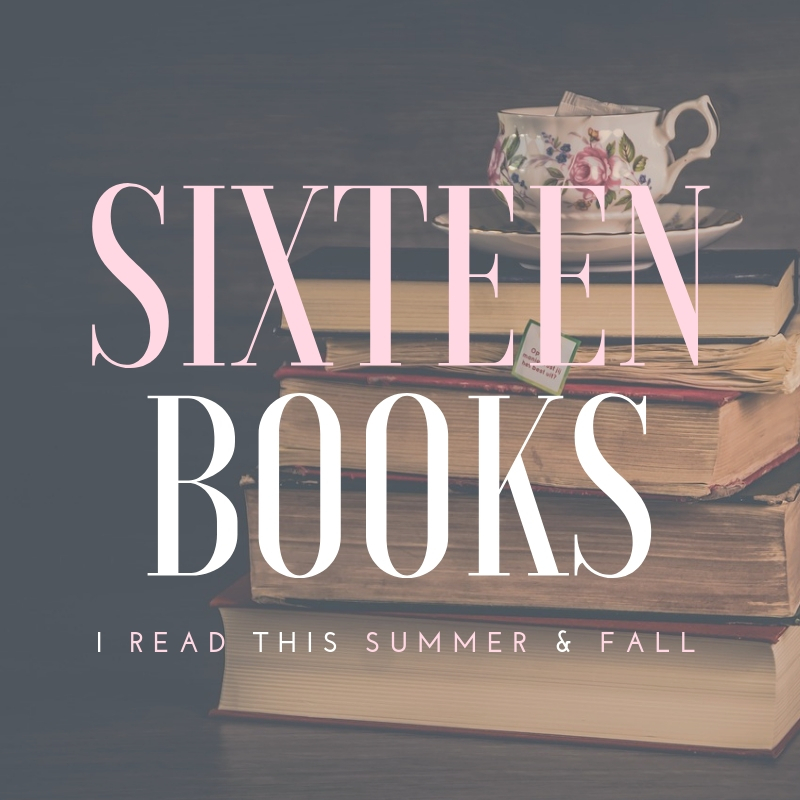 Favorite reads from this summer and fall: The Book Thief, Secret Shores, Intercepted, The Girl from Berlin, Winter in Paradise, The Suspect, and The Subway Girls. I can’t believe my sweet boy turned ONE on Saturday! We had such a fun day celebrating with family and friends at his football-themed “Anthony’s First Down” birthday party. This has been the fastest and best year of my life, and I’ve never experienced so much joy. 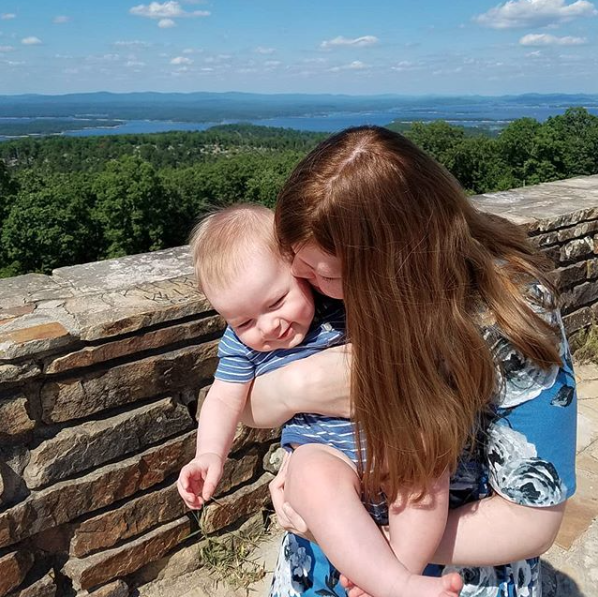 It definitely wasn’t all easy (there were times when I thought I might go crazy from the lack of sleep during those first 10 months), but it was definitely all worth it for our little man. I love his sweet, gentle personality, and though I’m a little sad to leave babyhood, I can’t wait to watch him grow. Happy birthday, Anthony. I am so thankful to be your mama. 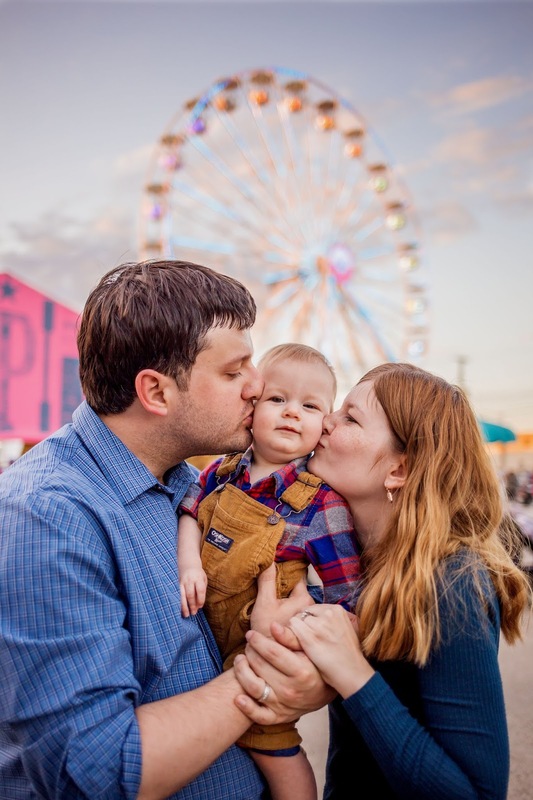 PS-I will share more about Anthony’s latest milestones, his one-year shoot at the State Fair of Texas, and his birthday party soon! 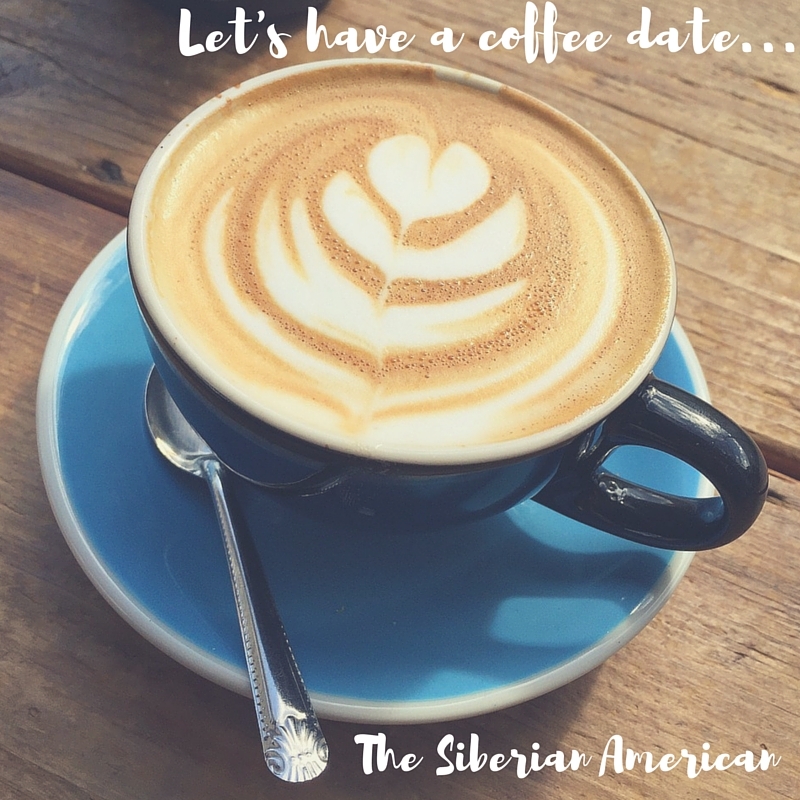 Let’s Have a Coffee Date: Hello from DC! Hi, friends! I’ve been meaning to update y’all on everything going on lately, but life has been all about getting ready for DC and then adjusting to our place here, so I haven’t been on my laptop much. I have really been missing blogging lately, though, and have all kinds of ideas for content, so I’m hoping I can start posting a bit more once we get back! Overall, DC has been better than I expected. 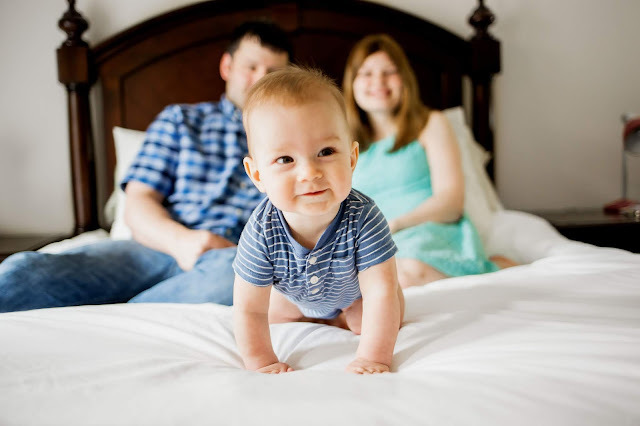 I was so nervous because Anthony had finally started sleeping well at night (usually one wakeup around 4 to 5 a.m., unless he is teething), and I had heard going to a new place can sometimes mess with that. We did have several days with two to three wakeups, but overall, he has done really well! The only exception was a few nights when he was randomly awake for a few hours, but then I realized he had two more teeth coming out, so that made sense. One of the reasons I was nervous about DC is we are staying in a place that’s basically one big room. I came up with the idea of using a sheet and a curtain rod to separate the kitchen and the living area/bedroom, and we put Anthony’s pack n play in the kitchen. I’m also trying to keep him on Central Time as much as I can because I don’t want to get him used to waking up early due to the time difference. Anthony has really enjoyed going on adventures with us! We have taken him to see the monuments and some of the Smithsonian museums. 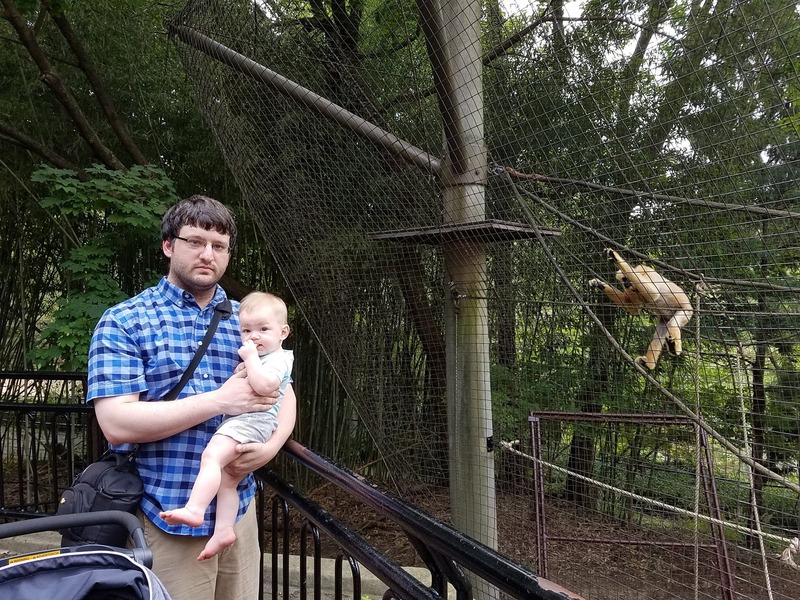 We also spent a day at the zoo, and Anthony absolutely loved it! He kept going “oooh” and laughing at all the animals. His favorite animals were the elephant, tiger, and lion. We’ve been a little bummed because it has rained almost every day since we were here, and we were really looking forward to going on walks since it’s cooler here than in Texas. I feel like it’s been raining in a huge part of the country, though, and at least we haven’t gotten any of the terrible flooding! It has made it even more humid than usual, though. This is my first experience using a dehumidifier, and it’s so crazy to have to empty it five times a day! 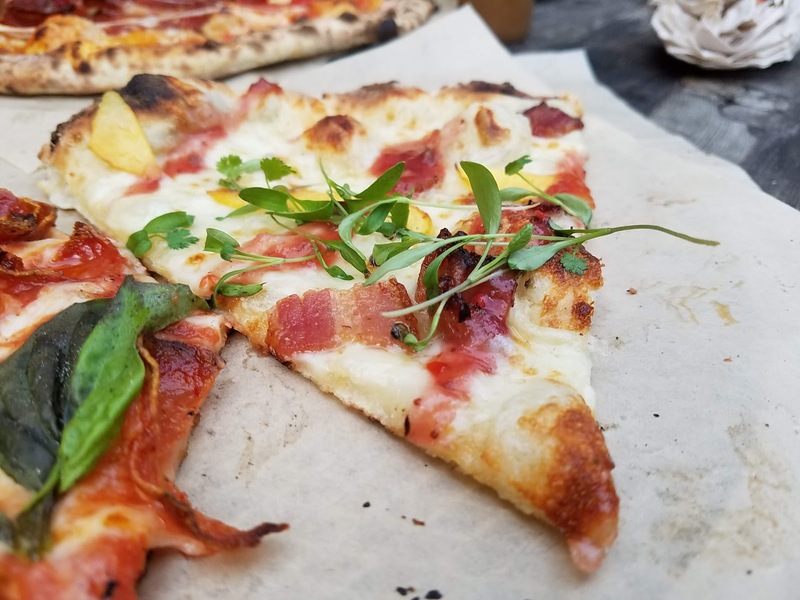 If you have read my travel posts in the past, you know I always have a large list of restaurants to visit anytime we’re visiting somewhere new. 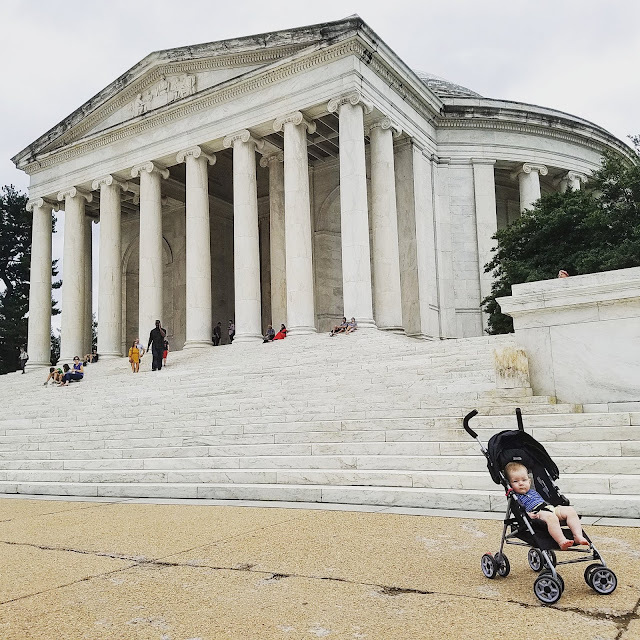 We’ve already checked off several really great places, and I’m crossing my fingers I can get on top of blogging once we’re home and share a little DC guide with y’all! This past weekend, we took a road trip to Ocean City, Maryland and Assateague Island for Anthony’s first trip to the ocean. I really loved Assateague Island, despite being practically eaten alive by mosquitoes. Anthony really loved watching the waves. I think the water was a bit cold for him, but he did enjoy watching it! Our three-hour ride home turned into six hours because of really horrible traffic due to the rain, but Chris and I both agreed it was still a really wonderful weekend. This weekend we are heading to Charlottesville, Virginia, and then doing the Skyline Drive at Shenandoah National Park. We’re crossing our fingers for some nice weather, so we can do a little hiking. It’s crazy to me that it’s almost time to celebrate Anthony’s first birthday! I’ve been working on his party details, which is so much fun. I’m excited to share the details with y’all in just a few weeks! Hey, friends! Anthony turned ten months last Monday (what?! ), so it’s definitely time for another update. I’ve really been wanting to return to this space on a more regular basis, but all of these crazy things keep happening (life update soon), and I just haven’t had the energy to sit down and write. Now that I’m a mama, I have really focused on not pushing myself and giving myself grace, even when I would normally feel like I am failing. Anyways, enough about me, and let’s talk about Anthony! These last three months have been my favorite so far. We have had so much fun, and Anthony has learned a lot. I’m excited to share all about them with y’all! One of my favorite things is the older Anthony gets, the more I see his personality come out. Anthony is observant. He loves learning new things and will watch closely when I teach him something, and then he will keep on trying until he figures it out. He loves exploring, but he also enjoys crawling into my lap to read a book. He is full of joy, and his sweet giggles are my favorite. We went to the doctor the day Anthony turned nine months, and he was 18 pounds, 6.7 ounces. That’s in the 30th percentile. We were super excited to hear that because Anthony has always been low on the growth chart—at one point he was in the second percentile. He always grew well on his own curve, but we were still happy to see he is catching up a bit. My guess is he is probably closer to 20 pounds now. These last three months have been full of milestones! 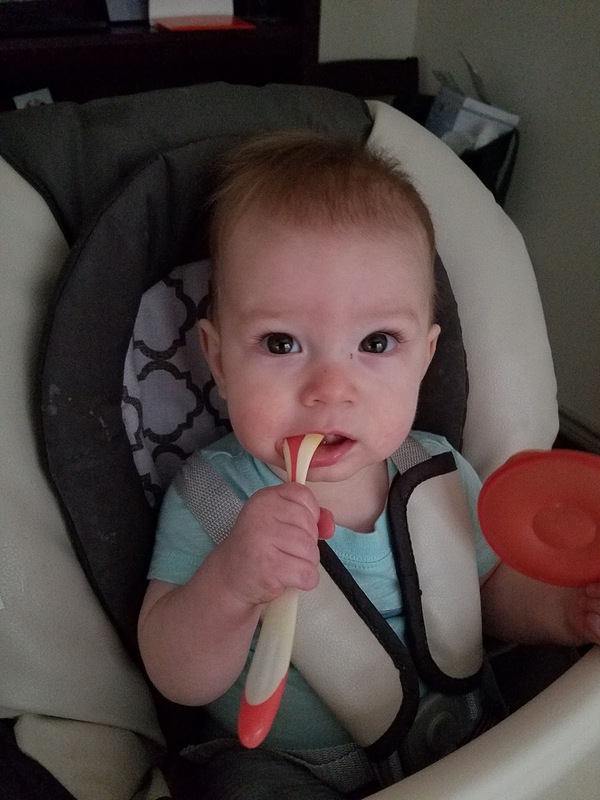 A few days after Anthony turned seven months, he started teething, and his two bottom teeth came out pretty quickly. A few days after that, he began to army crawl, and he moved to normal crawling quickly. By 7.5 months, he was moving really fast. 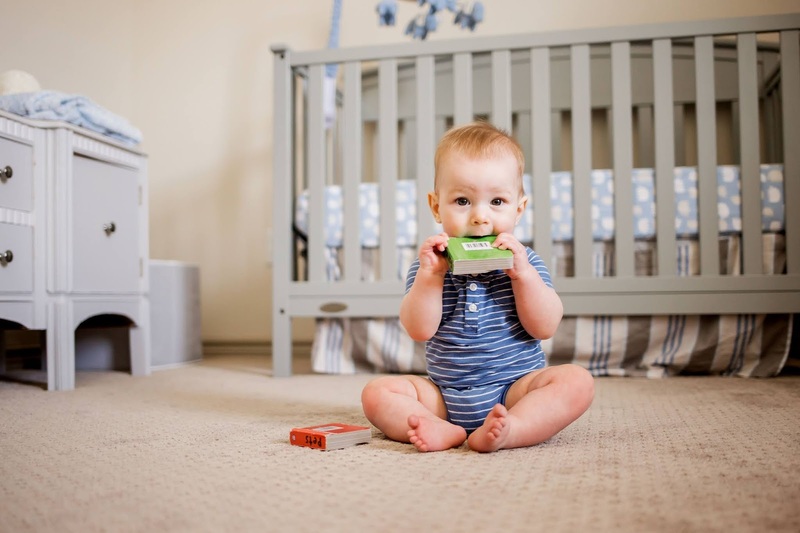 At 8.5 months, he could go switch from crawling or laying down to sitting. On the day he turned nine months, he started consistently pulling up. Now, he does it all the time and will move from one place to another a bit while holding on. It’s pretty funny when he stands up in his pack n play and stares at me when he wakes up. Anthony’s top teeth broke through last week, so his new favorite thing is to hit his teeth against each other. The two big firsts I wanted to mention was Anthony’s first long road trip and his first trip to the dentist. We went to Hot Springs for our birthday and anniversary trip this year, which is about a five-hour drive. It went really well, and we had a great time on our trip! Unfortunately, on the way back, an 18-wheeler had a blowout right in front of us, and the tire struck our car. It did some damage to our car and ripped one of our tires to shreds, so we had to pull over and wait for AAA to come help Chris replace the tire (he wasn’t comfortable doing it himself because we weren’t in a safe spot). Thankfully, it all worked out, and we got home safely, but it was scary at the time. Anthony was a trooper and handled being stuck in the car for extra hours really well. When Anthony’s teeth came in, they were super sharp, and he kept biting under his tongue and making it bleed. This created a large ulcer under his tongue that wouldn’t heal because he kept aggravating it. I ended up having to take Anthony to the pediatric dentist to smooth out his teeth, so he would stop making the ulcer bleed. I was really anxious about it because I knew he wouldn’t understand what was going on, but it went so much better than I expected. He hasn’t made the ulcer bleed since the teeth were smoothed, so I’m hoping it will fully heal soon. Remember how I said crazy things kept happening? Those are just two examples. Months seven and eight were rough when it came to sleep. Anthony was waking up every two hours at night, and he decided he hated naps. 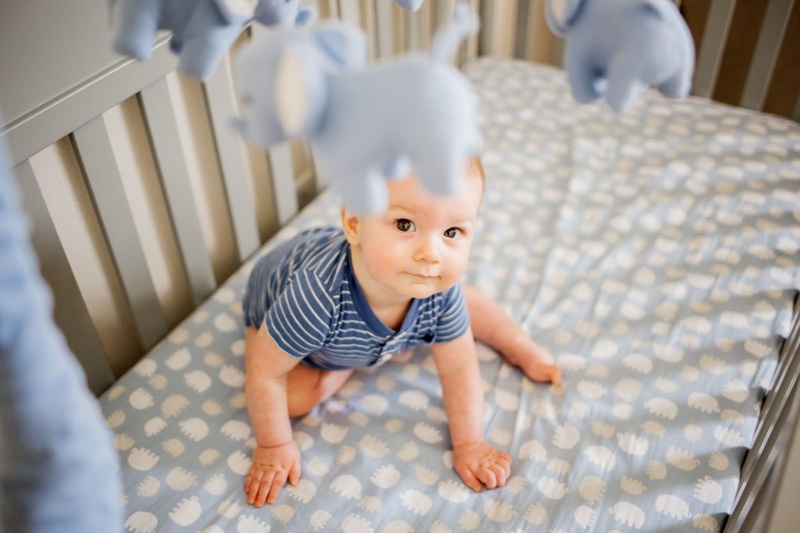 He rejected his pacifier around six months, so putting him down for naps got really hard. As we were nearing the nine-month mark, I thought I was going to lose my mind from so little sleep. 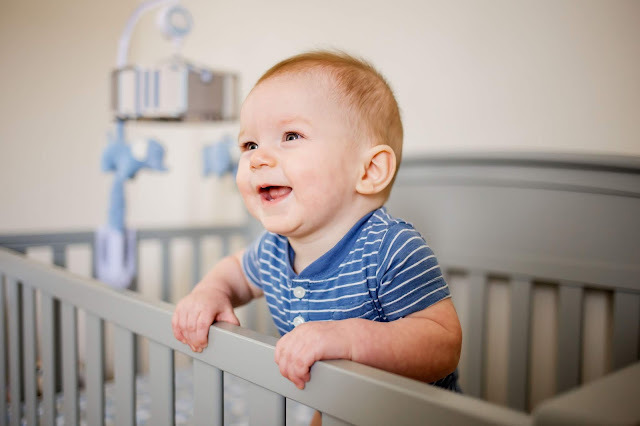 I talked to the doctor at his nine-month appointment, and she basically just told me some babies aren’t good sleepers, no matter what you do. Then, all of a sudden, he turned a corner. He went from waking up every two hours to waking up at 11 p.m. and 5:30 a.m., then waking up for the day between 7 and 8. Now, he usually only wakes up once between 4:30 and 5 a.m (unless he’s teething). His naps got so much better, too, especially after I worked on dropping the third nap. Right now, we usually do a 2/3/4 schedule. It’s what seems to work best for him—I’ve tried to stretch out the morning wake time, and he doesn’t like it. He’s not super consistent with how long he sleeps, but before he was sleeping through the night, he would take a two-hour morning nap and a one-hour afternoon nap. Now, it’s closer to two one-hour naps (often more like 45 minutes). I can’t even begin to explain what a huge difference his new schedule has made for us. I feel like a new person! We’ve made it ten months breastfeeding! Anthony nurses when he wakes up in the morning and a short time before bed and then in four-hour intervals throughout the day (usually after his naps). I also feed him three solid meals a day. He always says “mmmm” after each bite, which is super cute. Puffs are also a huge hit around here. Anthony has been blabbing for a long time, but I think he’s getting close to making associations. In the morning when he wakes up, he usually calls for me, saying “Awa!” He has been saying Dada and Baba forever, but not directly at Chris or my mom (Baba). Chris calls on his way home, and Anthony will “talk” to him. The other day I turned on a podcast during playtime, and Anthony said Dada! I think maybe he thought it was Chris since it’s usually him on the phone. He’s also good at repeating sounds. The cutest is when we’ll ask him if he’s OK, and he say “OK!” back. Anthony loves swimming, crawling, and pulling up on everything. 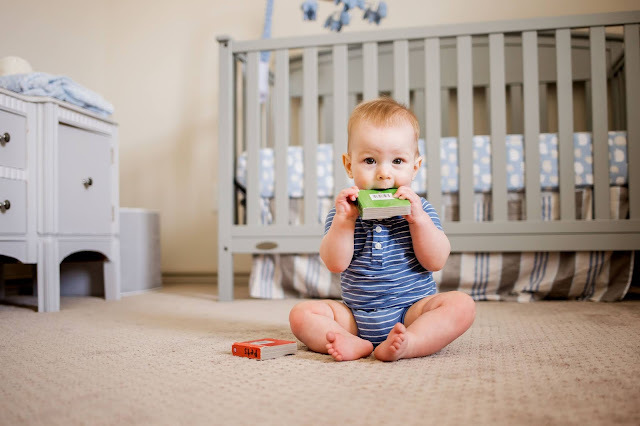 His favorite toys are this Baby Einstein Octoplush (which he has loved for months), a LeapFrog activity center, this VTech Musical Rhymes Book (music and turning pages! It’s a big winner here), and the VTech Sit-to-Stand Learning Walker. We also grabbed this cute little toucan for our upcoming plane ride, and Anthony really loves it. His favorite thing for naps is this SwaddleMe Elephant Soother. I also like looking at sites like www.wikibuy.com for baby deals! He also loves going on walks. He will sit in his umbrella stroller for as long as we let him, looking at everything. I can’t wait for it to be cooler outside, so we can spend more time walking around. I’m not sure if it’s a real dislike, but Anthony has started moving so much that changing his diaper can be difficult. I can usually distract him with a toy, but I still try to make it as quick as possible. He’s also developed a bit of separation anxiety. He is pretty good at playing on his own these days, but he wants me to be in the room. Anthony loves to take my hands and use them to clap. Christopher’s favorite noise that Anthony makes is a motorboat. He will crawl up to his activity center, pull up, turn on the music, and dance! Anthony loves peekaboo. He will find a box or big toy and hide behind it to play. He loves pulling up on the window in his nursery (it’s the perfect height for him) and watching the cars (and dogs) outside. He loves throwing balls in my direction and then chasing after them, so he can throw them at me again. Overall, I’m just loving this fun stage! Now that I’m a bit less of a mom zombie, it’s such a joy to chase Anthony around and watch his discover this world.